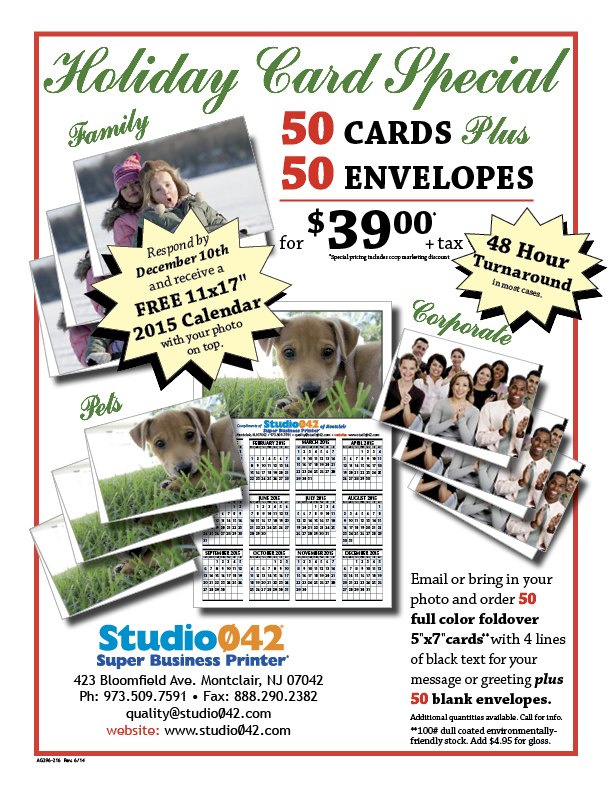 Holiday Card Special from Studio042. 50 Cards and Envelopes for $39. Respond to this promo by December 10th and receive a free personalized 11″ x 17″ calendar. 48 hour turnaround. Upload your file today by clicking on the send a file button in the right column.